Just look at it.....honestly - it's way too cool! Open cockpit design with massive wing and exposed roll cage make BAJA look the part of an off-road racer. 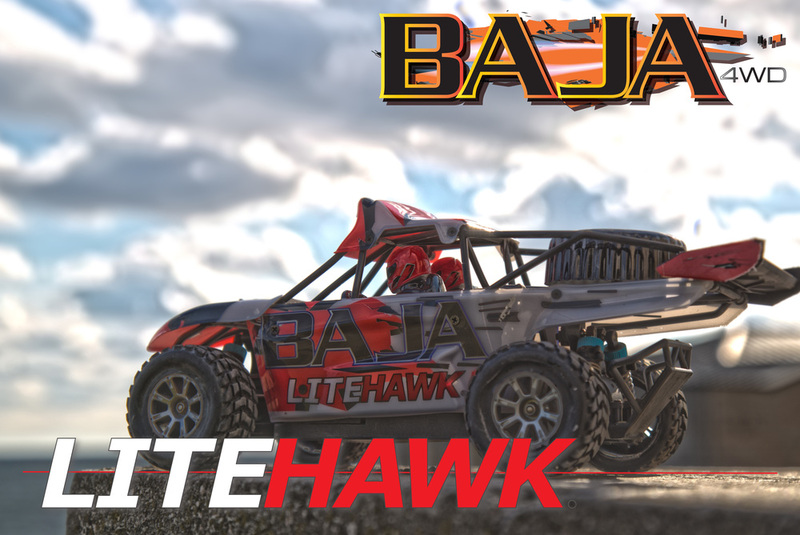 Looks are one thing, now lets add performance - mechanical, shaft-driven 4WD along with oil filled shocks soak up the bumps - coupled with our powerful motor (with included anodized heat sink) easily propels your new LiteHawk BAJA to speeds of 50 km/h (35 /MPH) - that is some serious performance! 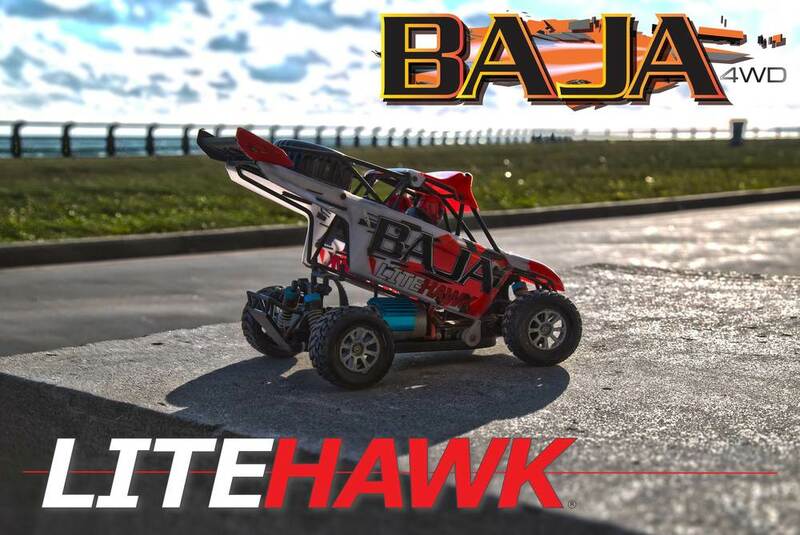 Radical design + solid performance = LiteHawk BAJA. Fully loaded with all the usual features that you have come to expect from LiteHawk! Shaft Driven 4WD provides proven, solid traction! Oil Filled Shocks soak up the bumps...smooth and consistent! Fully Independent Suspension digs into the corners and keeps you tidy down the straights!